This is a special hack for the grill hounds out there. 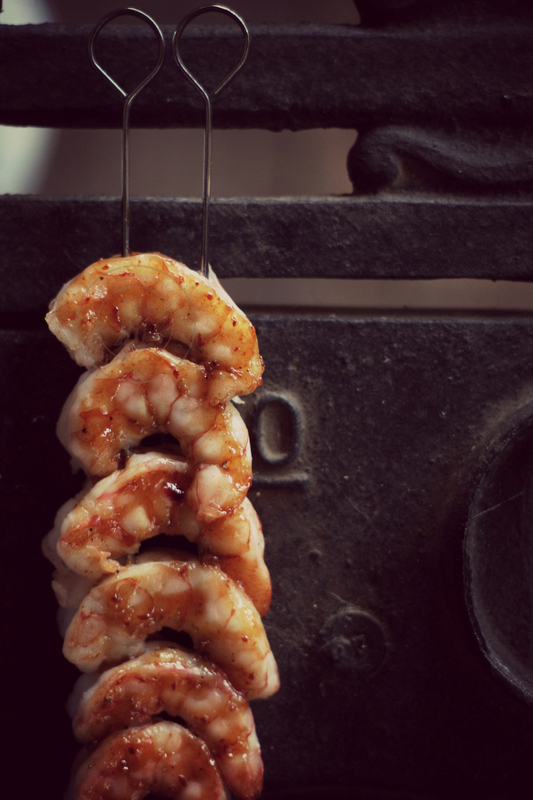 How many times have you cooked skewered meat, vegetables or seafood? Who doesn’t like kebabs?! It can be a challenge to get them perfect though when the food keeps spinning around the sticks! Try the double skewer system. Insert two skewers into any element you intend to cook kebab style. Think of it as using a long, two-pronged fork. It keeps food from rotating around the skewer when its time to flip. It also ensures even cooking and makes basting easier! Go get your grill on! This entry was posted in Culinary, education, food, hacks and tagged blog, chef, culinary, double, education, food, grill, hack, kebab, kitchen, meat, seafood, shrimp, skewer, tips, tricks, trip, updates, vegetable. Bookmark the permalink. This is really smart, I need to do this with my cream cheese stuffed mushrooms. Those things tend to rotate stuffing side down too often. To the point where I no longer skewer them but just leave them “loose” on the grill.